March 4, 2019, 8:25 a.m.
Ernest Tibbs interview by Muzikus. Czeck Magazine Muzikus has interviewed Markbass top-artist Ernest Tibbs. Feb. 27, 2019, 9:56 a.m.
Australian Guitar magazine reviews the Ninja 102 500. Australian Guitar Magazine has reviewed the Ninja 102-500 Richard Bona signature combo, saying it is virtually the perfect product: simple to use, easy to lug and satisfying to hear. Sept. 12, 2018, 6:10 a.m.
Australian Guitar reviews the Little Marcus 1000. Australian Guitar magazine has reviewed the Little Marcus 1000 head, reckon only PROS: Great tone and volume, Pro build quality, Very portable! March 4, 2019, 8:25 a.m. Ernest Tibbs interview by Muzikus. Feb. 27, 2019, 9:56 a.m. Australian Guitar magazine reviews the Ninja 102 500. Sept. 12, 2018, 6:10 a.m. Australian Guitar reviews the Little Marcus 1000. Sept. 1, 2018, 3:23 p.m. Bass Player interviews Marcus Miller. Markbass top-artist Marcus Miller interviewed on Sept issue of Bass Player magazine. Aug. 28, 2018, 1:18 p.m. Mixdown magazine reviews the Marcus Miller 102 CAB. Australian magazine MIXDOWN has revieved the new Marcus Miller 102 CAB in their recent issue. Aug. 27, 2018, 1:50 p.m. Guitar Interactive Magazine reviews Little Marcus 800 and Marcus Miller 104 CAB. UK Guitar Interactive Magazine reviewed Marcus Miller signature head and cab in their issue #58, including also a video test. July 3, 2018, 7:21 a.m. Mixdown Magazine reviewed the Little Marcus 800. Australian Magazine MIXDOWN has reviewed the Little Marcus 800 head. June 25, 2018, 11:58 a.m. UK Bass Guitar Magazine reviews Marcus Miller heads and cab. Bass Guitar Magazine has reviewed the Little Marcus 250, Little Marcus 800 and Marcus Miller 102 CAB in their last issue saying: "Used together, this is a rig to be reckoned with. Even with the smaller amp driving a single 210 cab, drawing roughly 150 watts from the amp, there's tons of headroom"
June 6, 2018, 7:08 a.m. Mixdown reviews the Combo 121 Lite. Australian Mixdown magazine has reviewed the Combo 121 Lite Alain Caron signature and they say it's "Plenty of volume, headroom and tone" and "Portable, light, smallish"... they found NONE misses! 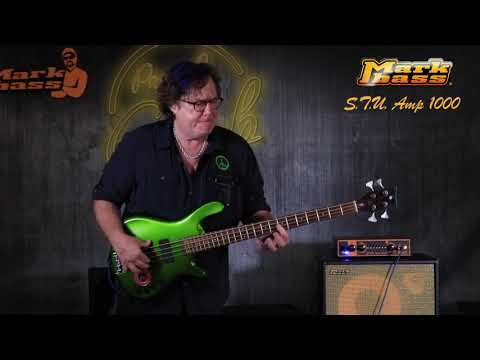 Markbass top-artist Stu Hamm plays his interpretation of Led Zeppelin classic "Going To California" using his STU Amp 1000 and MB Classic 152 SH cabinet. Marco Micheli and Markacoustic AC 101H - In Your Own Sweet Way. GAUDATS JUNK BAND feat. EFFENBERG - Economia Circolare. 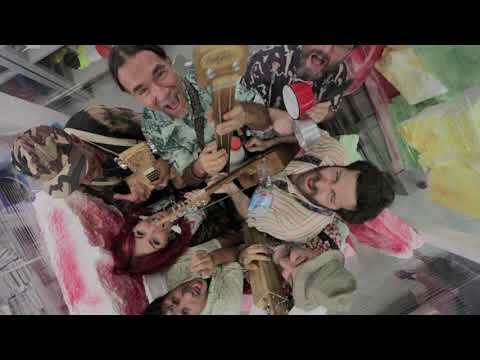 "Economia circolare", the new video from Markbass artist Marco Bachi and our friends of Gaudats Junk band Band feat. Effenberg for Legambiente! Enjoy and share!!! Marco Micheli and Paolo Birro - Moon and sand. 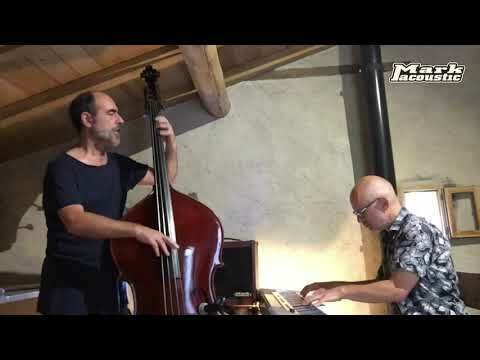 Marco Micheli and Paolo Birro - Like someone in love. 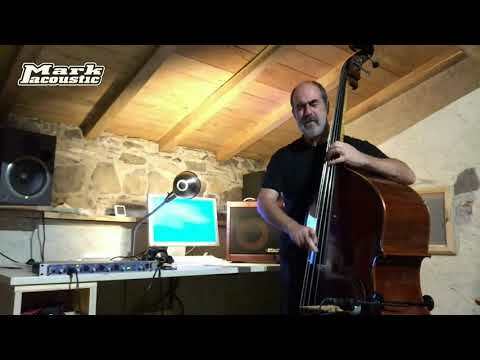 Markbass artist Marco Micheli (feat. 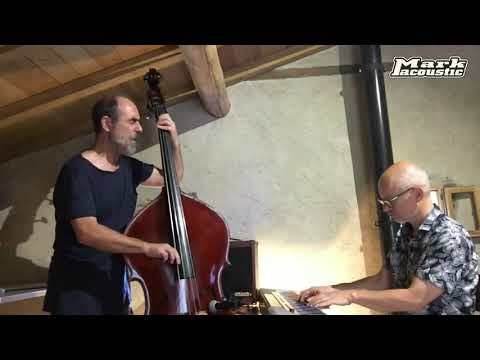 Paolo Birro on piano) plays "Like someone in love" using his Markacoustic AC 101H combo. Doublebass captured by a dynamic mic SM58 directly connected to the AC 101H. Havona 2018 (Jaco Pastorius) - Evan Marien. 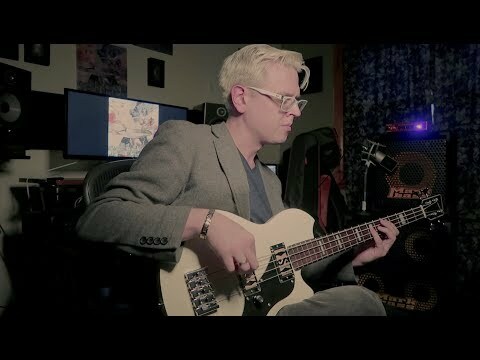 Markbass artist Evan Marien plays a classic from Jaco using his Nano Mark 300 and New York 121. Lorenzo Feliciati presents the new project Skunk Funk International. 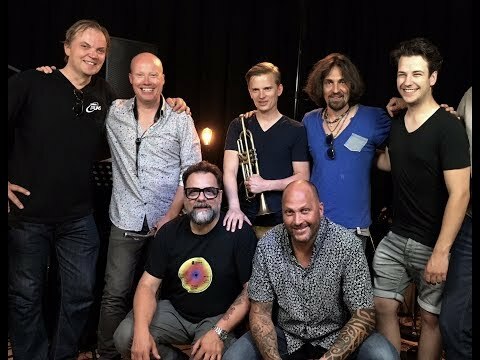 As part of percussionist Martin Verdonk’s Master Sessions Youtube Channel here the episode about a new exciting project with Markbass Artist Lorenzo Feliciati: Skunk Funk International-a tribute to the music of Brecker Brothers. Sir Duke (Stevie Wonder) Bass Guitar Cover by Alana Alberg. 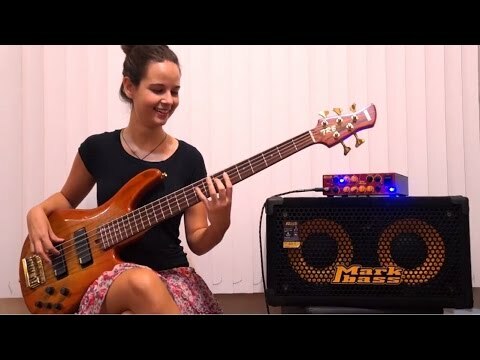 Markbass artist Alana Alberg plays Sir Duke (bass cover) by Stevie Wonder. May 2, 2018, 1:53 p.m.
Current issue of Australian Guitar magazine includes a very positive review of the Ninja 102 500 - Richard Bona signature combo. Jan. 10, 2018, 7:25 a.m.
Music Radar reviews CMD Super Combo K1. Website for musicians musicradar.com reviewed the CMD Super Combo K1 Alain Caron signature, saying it's "One of the best pro combos available today." Oct. 27, 2017, 4:15 p.m.
Markbass factory tour by Bass Player Magazine. Bass Player Magazine traveled to Italy to see the hands-on work that goes into every Markbass amp. Oct. 12, 2017, 5:44 p.m.
Bass Guitar Magazine reviews the CMD Super Combo K1. UK Bass Musician Magazine reviewed the CMD Super Combo K1 Alain Caron signature in their last issue, saying "We expect Markbass combos to be good. This one’s exceptional, and ticks every conceivable box for sound and quality". Sept. 18, 2017, 10:41 a.m.
Musicradar reviews the Markbass EVO 1. The website for musician Musicradar reviewed the Markbass EVO 1, saying it "could well be the amp that takes bass modelling into the mainstream." Sept. 7, 2017, 2:42 p.m.
Markbass top-artists interviews and Markbass EVO1 test on Bassiste magazine. Bassiste magazine Jul/Aug issue features interviews to Markbass top-artists Michael League and Alain Caron, and test-review of Markbass EVO 1 head. Sept. 5, 2017, 8:37 a.m.
Mixdown reviews the Markbass EVO 1. Australia's Mixdown magazine has reviewed the MARKBASS EVO 1 head in their August 2017 issue. July 18, 2017, 1:59 p.m.
BGM reviews the Markbass EVO 1. UK's Bass Guitar Magazine next issue features a great review of the Markbass EVO 1. June 5, 2017, 5:05 p.m. It's so cool to see Markbass featured on the April issue of Cosmopolitan Brazil magazine. Special thanks to our distributor "Made in Brazil". May 31, 2017, 6:28 a.m.
Mixdown Magazine reviews the Nano Mark 300. Australian magazine Mixdown reviewed the Nano Mark 300 in their last issue, hitting it as a versatile tone stack, light and loud. May 3, 2017, 8:36 a.m.
Dutch magazine De Bassist talks of Markbass. De Bassist magazine talks of Markbass in their April-June issue. May 2, 2017, 7:21 a.m.
Markbass EVO 1 featured on iBass Magazine. Digital iBass Magazine features Markbass EVO 1 in its April issue. April 18, 2017, 6:17 a.m.
No Treble talks about Markbass EVO 1. Web-portal notreble.com talks of the new Markbass EVO 1 head. March 9, 2017, 10:29 p.m.
Feb. 24, 2017, 3:02 a.m.
Bass Player magazine reviews the Little Mark Tube 800. Jonathan Herrera from Bass Player revieved the Little Mark Tube 800 head. Jan. 31, 2017, 11:17 a.m.
Bass Professor reviews the NINJA 102-250 combo. German magazine Bass Professor reviewed the NINJA 102-250 combo. Polish Top Guitar magazine gives five stars to the Ninja amp and cabinet. Top Guitar tested the Markbass Richard Bona signature Little Mark Ninja head and Traveler 121 Ninja cabinet in their August issue, rating this set "five stars"! Infomusic reviewed the Nano Mark 300 head and New York 151 cabinet. Polish web-portal Infomusic tested the Nano Mark 300 and New York 151 in their September issue, rating this small set "five stars"! April 29, 2016, 11:28 a.m.
Bass Quarterly reviews the Traveler 121 Ninja. Bass Quarterly reviewed the Traveler 121 Ninja Richard Bona signature cabinet. March 22, 2016, 11:46 a.m. The Little Mark Ninja reviewed by Bass Quarterly. Germany magazine Bass Quarterly reviewed the TLittle Mark Ninja Richard Bona signature head in their March '16 issue. March 1, 2016, 11:42 a.m.
Bass Professor reviews the Little Mark Ninja. Germany magazine Bass Professor reviews the Little Mark Ninja Richard Bona signature head.